Tracks how it changes over time. This is referred to as your Progression. It is used to derive your Athlete Type fitness, such as 5 minute power. This helps you see how you are progressing against a particular fitness goal. Using MPA and your signature, Xert calculates Focus, Stress, Strain and Specificity Rating. Workouts in the Workout Designer use it to determine MPA, Focus, Stress, Strain and Specificity Rating for the workout. Your Garmin data fields, Xert Mobile and Xert Player for iOS use it. The Xert Segment Hunter calculates your target power with it, interactively. Establishing your fitness signature is key to ensuring all calculations and derived information are accurate. Your Fitness Signature changes with training and exercise and will decline if you stop training. Xert provides a number of tools to help you maintain your fitness signature. 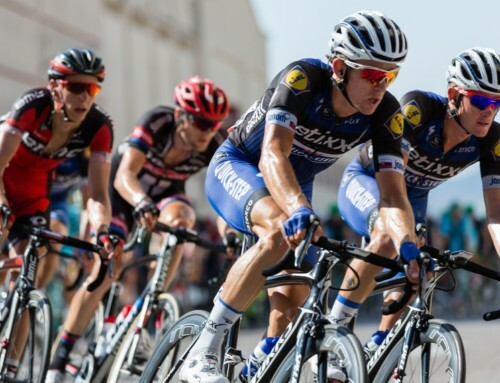 In essence, Xert is a platform for managing your fitness signatures, how they change, how they compare with others, how to train to improve and how to perform. At first blush, an MPA chart doesn’t appear to provide much information. 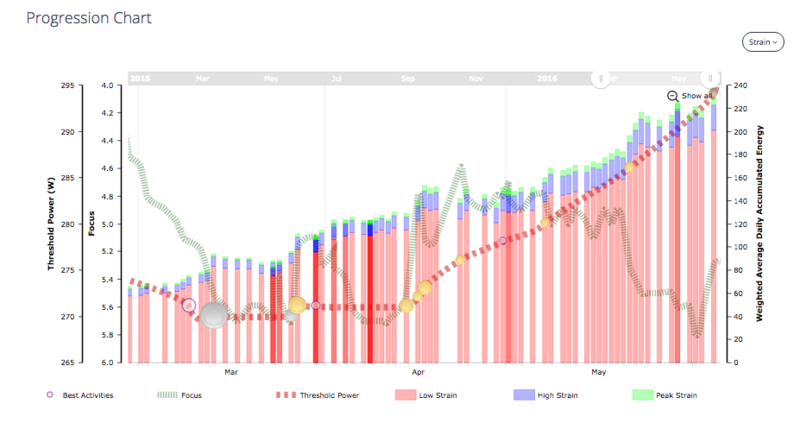 It shows your power data in red with another line – Maximal Power Available – in blue. The blue line appears to meander up and down, sometimes coming down far enough, or power rising high enough for them to touch. What’s the big deal? What needs to be understood is that your fitness signature together with your power data provide a way to calculate MPA. In simplest terms, MPA is your limit of power. When the exercise uses the phrase “push your limits”, Xert is the first software ever to show you what this is second-by-second. Under most circumstances, it is not impossible for you to generate more power than what MPA indicates. During maximal efforts, your power rises to touch MPA, sometimes stays there, and then drops below it. But when your power surpasses MPA, you get a Fitness Breakthrough. When one thinks through this a bit further, one realizes that MPA is saying everything about your ability to generate power. If we each hopped on our bikes and pedaled at 50W, most everyone would have no trouble with this. 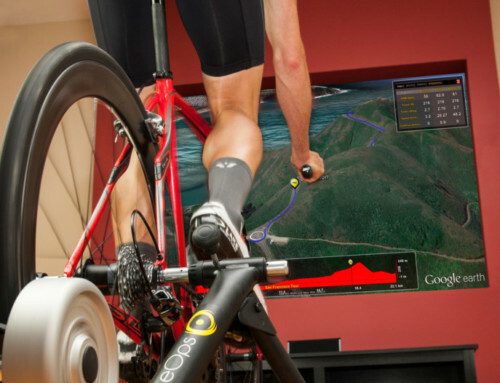 Pedaling at 50W doesn’t say anything about you and your fitness. However, as soon as the intensity starts to increase and longer durations efforts are sustained, those that fatigue less at higher intensities for longer durations, have better fitness. Still, it is only when one athlete can’t keep up with the next athlete that one can assess as to who has the greater fitness. “Can’t keep up” means they reached their MPA limit and it wasn’t enough. This limit is what we have coined MPA and is calculated using a fitness signature together with your power data. To gain a better understanding of MPA, checkout this story of a ride with Peter Sagan. When activities are synced/uploaded, Xert performs an analysis called extraction, whereby it looks to determine what three fitness signature parameters represent your MPA during the activity. What this means is that Xert looks at a range of signatures and based on their MPA data, looks to see which combination of parameters best matches how you fatigued and recovered from fatigue during the activity. The extracted fitness signature represents a set of numbers that provide an explanation for what your fitness was at the time of the activity. Your current fitness signature is used to determine second-by-second MPA for the activity. By comparing MPA and power, Xert can determine how often you performed maximal efforts and how close your maximal efforts were to your maximums as calculated by MPA. In the case of a fitness breakthrough, Xert discovers maximal efforts that exceed MPA. In the course of using Xert, at times, a new activity is added to your ride history. You may flag an activity. Similarly, you may make a change to an existing activity’s fitness signature by performing MPA analysis and Save/Lock a new signature to that activity. When an activity is added, flagged or the activity’s fitness signature is changed, Xert performs a trickle-down process. The trickle-down process is Xert’s way of propagating the changes associated with the new activity or fitness change to your overall progression. The trickle-down process runs until your last activity or to the next activity with a locked signature, whichever comes first. For example, by inserting an activity what contained a fitness test into the middle of your progression, the fitness test may likely be a good expression of your fitness at that time. Xert will extract a fitness signature for the activity and then recalculate all fitness signatures subsequent to that newly inserted activity. This can affect breakthroughs and other metrics that are derived from your fitness signatures. If you flag an activity, Xert will ignore the signature calculated from that activity so that it does affect your progression. This prevents bad data from affecting your progression history. The trickle-down process is a convenient way to manage your entire fitness progression history by allowing you to focus on those activities with breakthroughs or tests that you may have performed and having Xert take care of the rest. After completing the trickle-down process, your current fitness signature may be affected. This will then be used used as your current fitness signature as described above. Establishing your fitness signature can be an involved process as Xert extracts each fitness signature for your the activities you upload/sync to establish your progression. The more data you provide, the better Xert works. 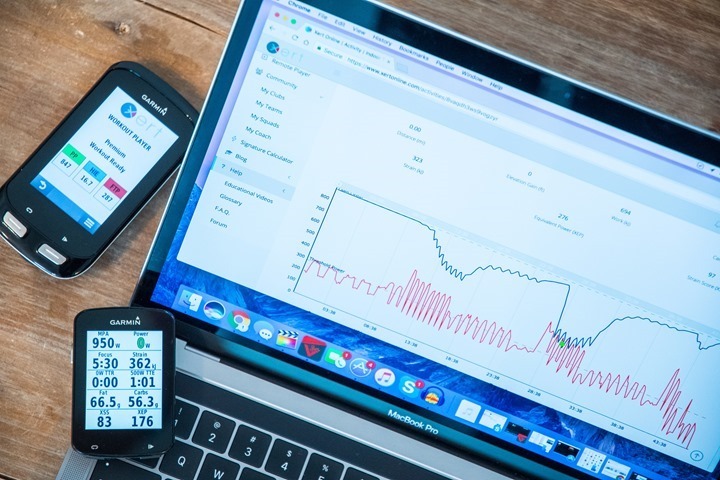 When you first upload/sync your activities, Xert looks at the very first activity uploaded/synced and attempts to determine a starting fitness signature. From there Xert will trickle-down any changes to your fitness signature from activity-to-activity as they are processed. In general this has shown to work well but there are times, especially when maximal effort data is sparse or non-existent that Xert can get off track. This is when you can use the Fitness Signature Calculator to identify a good working signature or perform MPA Analysis on an activity to put Xert on the correct path with your signature progression. Click and drag on the chart to zoom in to a specific date range. Click on the circles to open their activity information. Click on the legend – Recovery Load – to show/hide the corresponding data on the chart.